Deadline is reporting that Jesse Williams (Grey’s Anatomy) and Jordana Brewster (Fast and Furious franchise) will be starring in Jay Baruchel’s (Good, How to Train Your Dragon: The Hidden World) horror project Random Acts of Violence. The movie is based on the graphic novel by Jimmy Palmiotti and Justin Gray. 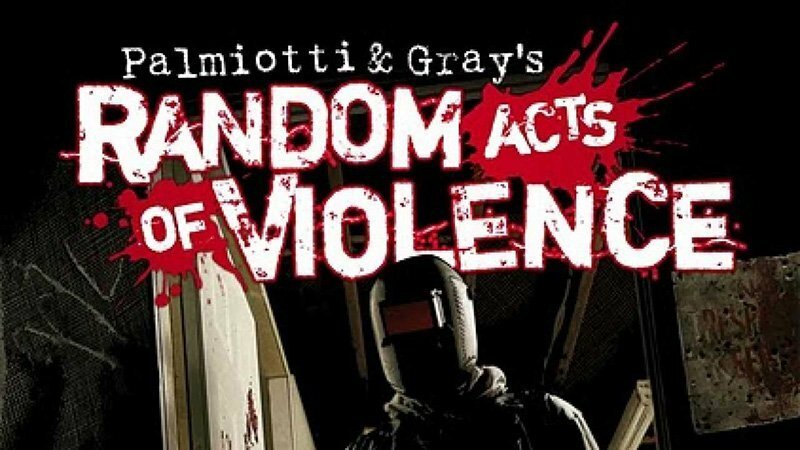 Random Acts of Violence follows the story of comic book creator Todd Walkley (Williams), along with his girlfriend, Kathy (Brewster), assistant Aurora (played by Niamh Wilson), and best friend and Hard Calibre Comics owner Ezra (Baruchel) as they go on a road trip. On their way from Toronto to New York for Comic-Con, bad things start to happen and people start getting killed in a fashion eerily similar to the kills portrayed in his Slasherman comic. It becomes clear that a very avid fan is out there following them and hurting people, and using Todd’s comic as inspiration. As the bodies pile up, and Todd’s friends and family become targets and victims themselves, Todd will be forced into taking responsibility for everything his ideas have wrought. Baruchel — who expressed his desire to direct the movie adaptation of Random Acts of Violence a few years ago — co-wrote the screenplay for the horror feature alongside writing partner Jesse Chabot and will also direct. Random Acts of Violence is produced by Elevation Pictures (The Imitation Game, Room, Moonlight). Noah Segal (The Hummingbird Project) and Randy Manis (Margin Call) will serve as producers with Williams, Chabot, Ricky Tollman, Jonathan Bronfman, Jimmy Palmiotti, and Justin Gray set as executive producers. Ariella Naymark will co-produce the project which has started filming in Toronto.